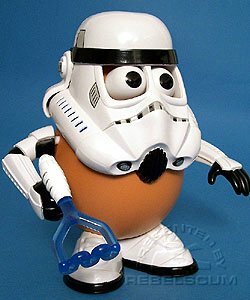 Equipped with a laser masher and spud armor to save their skins, the mighty SPUDTROOPERS have sworn their allegiance to Darth Tater. Now the Rebel Alliance must flee to keep from getting fried! Roll over and watch Mr. 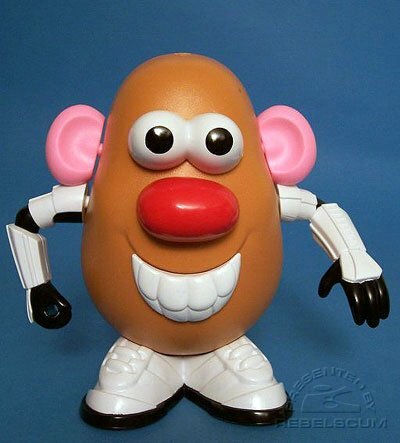 Potato Head turn into Spudtrooper!! Spudtrooper was originally designed to come with a shoulder pad, but that was not included in the final toy.